Any Grain Weight100 GR.103 GR.105 GR.107 GR.108 GR.110 GR.112 Gr.115 GR.117 GR.120 GR.121 GR.123 GR.124 GR.125 GR.127 GR.129 GR.130 GR.135 GR.136 GR139 GR.140 GR.142 GR.143 GR.144 GR.145 GR.147 GR.148 GR.150 GR.154 GR.155 GR.158 GR.160 GR.162 GR.165 GR.167 GR.168 GR.170 GR.174 GR.175 GR.178 GR.180 GR.183 GR.184 Gr.185 GR.190 GR.195 GR.196 GR.197 GR198 GR.20 GR.200 GR.208 GR.210 GR.212 GR.215 GR.220 GR.225 GR.230 GR.235 GR.24 GR.240 GR.25 GR.250 GR.255 GR.26 GR.260 GR.265 GR.270 GR.275 GR.280 GR.285 GR.286 GR.30 GR.300 GR.32 GR.325 GR.33 GR.35 GR.350 GR.36 GR.375 GR.39 GR.40 GR.400 GR.45 GR.450 GR.46 GR.468 GR.480 GR.50 GR.500 GR.52 GR.525 GR.53 GR.535 GR.55 GR.570 GR.58 GR.60 GR.62 GR.63 GR.64 GR.647 GR.65 GR.660 GR.68 GR.69 GR.70 GR.71 GR.72 GR.73 GR.75 GR.750 GR.77 GR.80 GR.800 GR.82 GR.85 GR.86 GR.87 GR.88 GR.90 GR.900 GR.95 GR. Powder Valley is your Reloading Superstore. 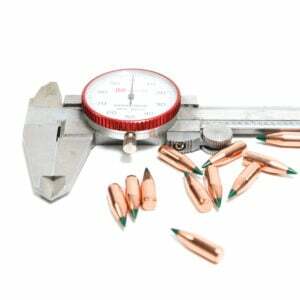 We are the largest provider of all brands of bulk bullets because we offer great service and cheap prices. We have all of your reloading components under one store. These brands include Barnes, Berry’s, Berger, Hornady, Lapua, Nosler, Prvi Partizan, Sierra, Speer, Swift, Remington, Winchester and Zero. Get all of your reloading supplies including Smokeless Powder, Primers, Bullets and Brass for one hazmat fee. 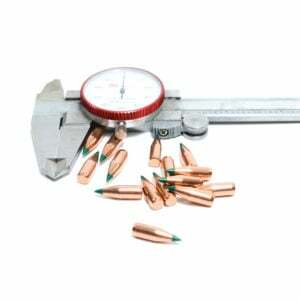 We are your one stop shopping headquarters for bulk reloading supplies. There is no need to look anywhere else because when you purchase from Powder Valley you’re guaranteed the best prices.